Grimspound | Pictures without film. This week the topic is Anything Construction Related. This topic is quite huge. See if any of you can come up with something way out of the box. 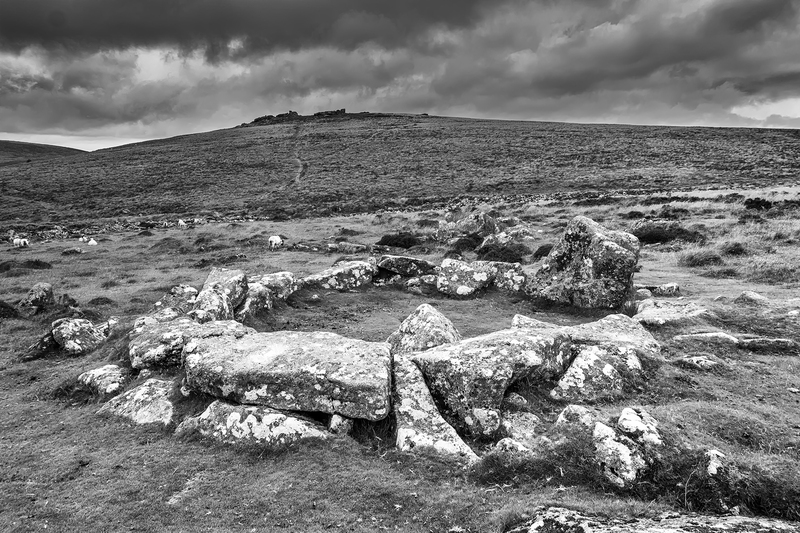 So my first photo is of an ancient roundhouse at Grimspound on Dartmoor. ‘Ancient Construction’, Grimspound, Dartmoor, 2015. The second is of what a completed roundhouse may have looked like. 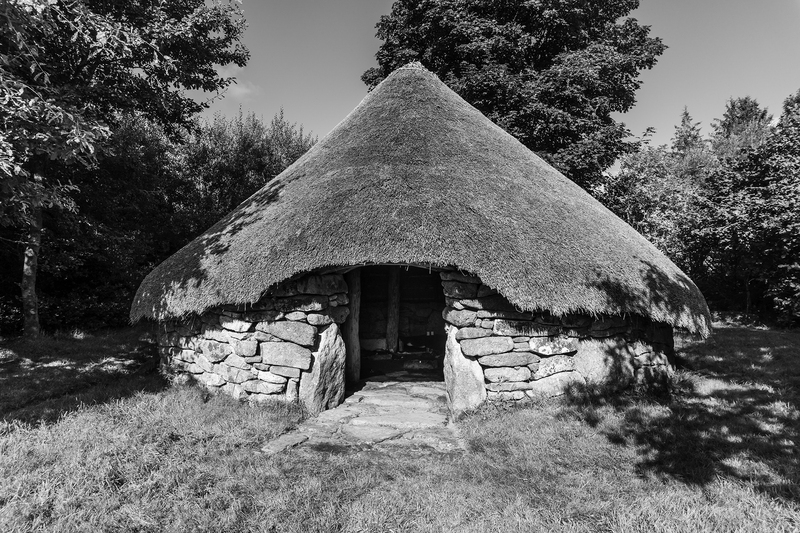 ‘Roundhouse’, Lower Merrypit farm, Dartmoor, 2014. 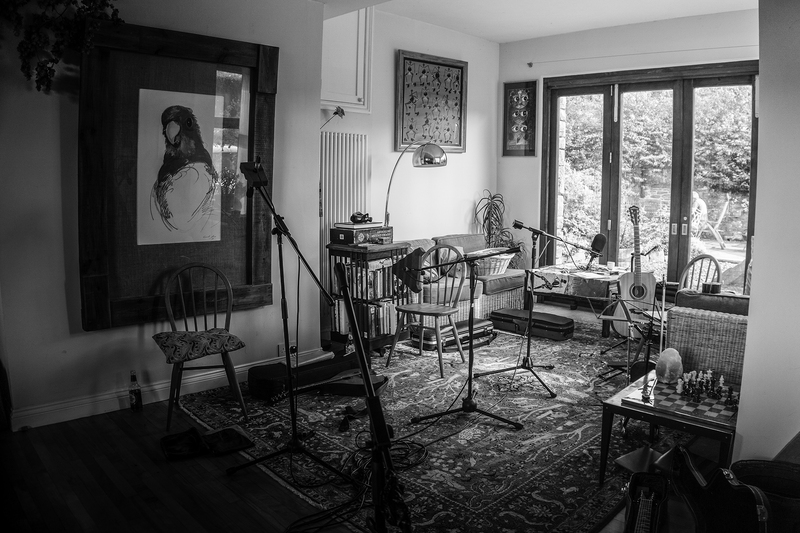 And finally as far out of the box as my thinking would take me, a photo of the room where my band Kantref recorded our album. If you try hard enough you can see the notes floating in the air, the music and album are under construction, the photo taken at a moment when the construction workers have downed tools for a cup of tea. ‘Music Construction’, Old Schoolhouse, 2014.